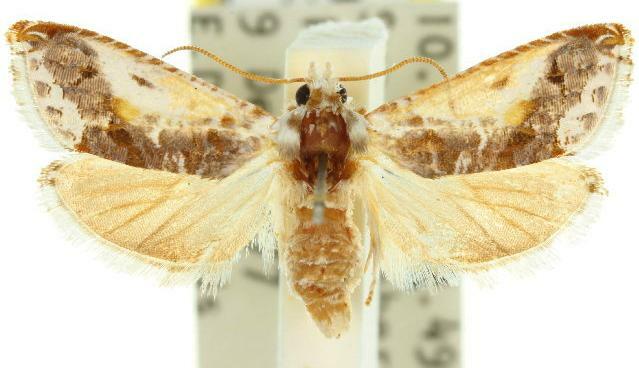 The adult moth of this species has forewings that have a complex pattern of brown, white, and orange spots and patches. 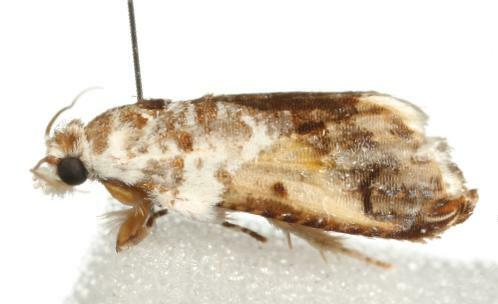 The hindwings are orange. The labial palps, head, and the legs are very furry. The wingspan is about 2 cms. Volume 36, Part 2 (1911), p. 295, No. 440.